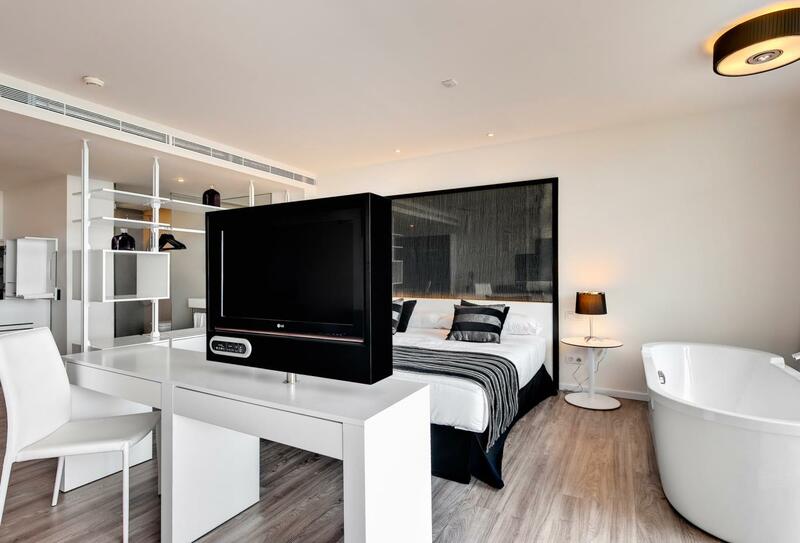 ME Mallorca is a modern hotel in the town of Calvià in Maguluf, Spain in stylish surroundings close to some of Mallorca's most glamourous nightlife. The hotel is right next to the lively Nikki beach and features two swimming pools, a fitness centre and the Skin INC Spa – the world’s first supplement bar to offer concentrated skin care. 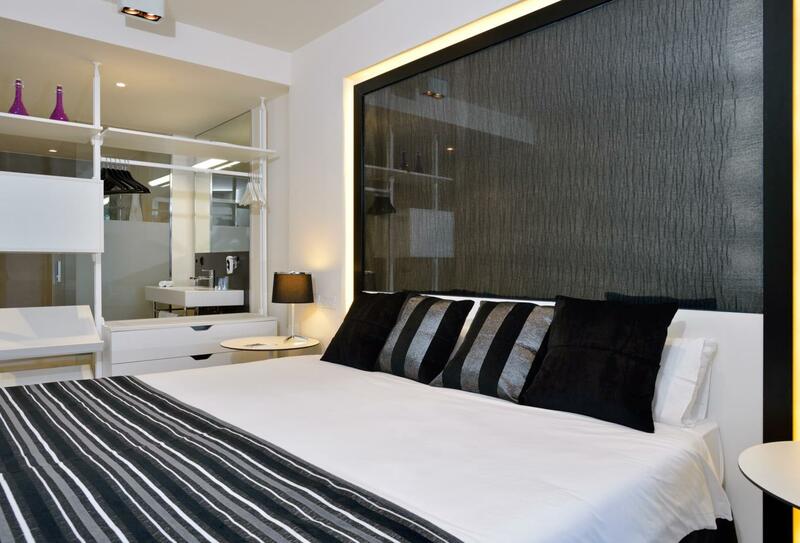 Rooms and suites are decorated in chrome tones and have stand-alone bathtubs facing the sea. 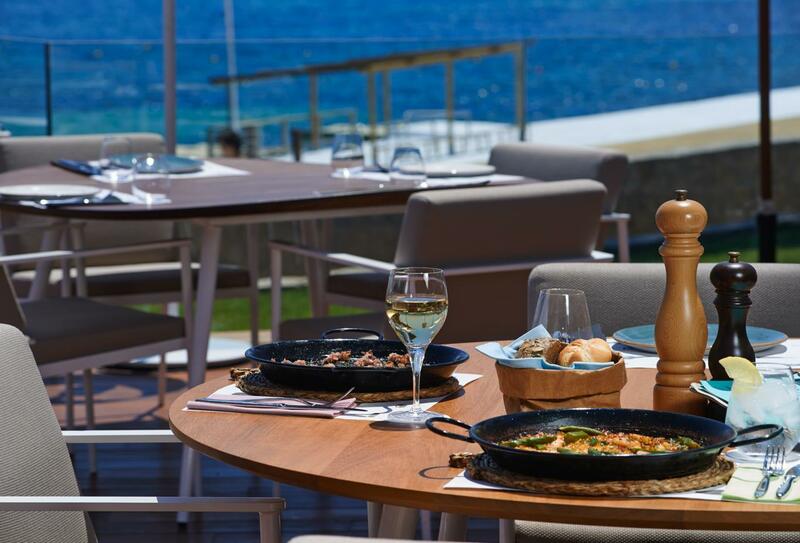 There are restaurants serving Mediterranean food, pool bars, live entertainment, and music from the hotel DJ. 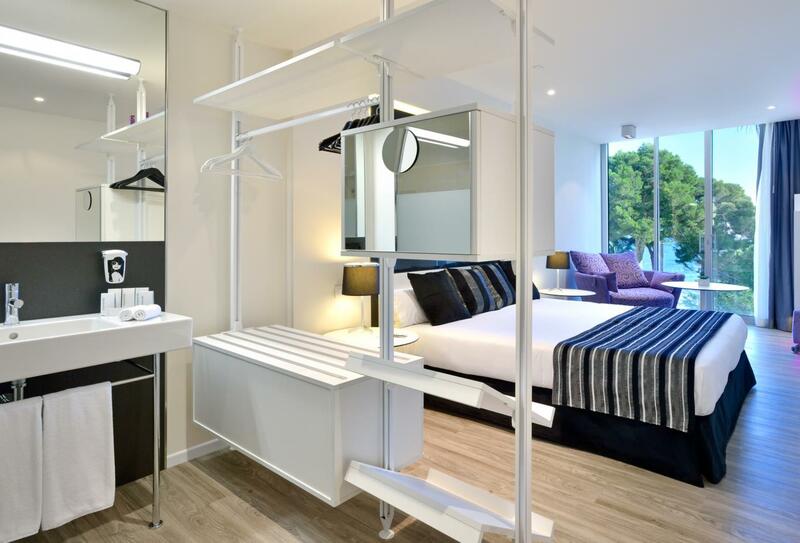 The Aura Room has an open plan bathroom with rain shower and a private terrace with views of the mountain. 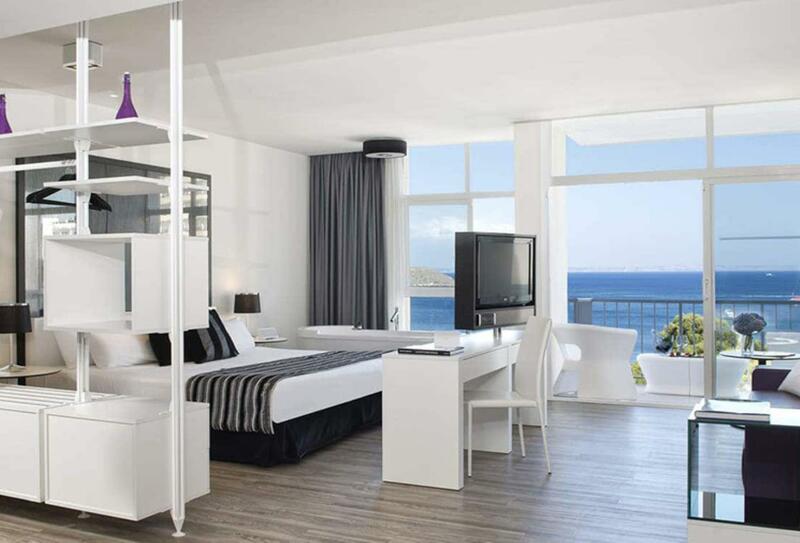 The Passion Suite overlooks the beach and sea. 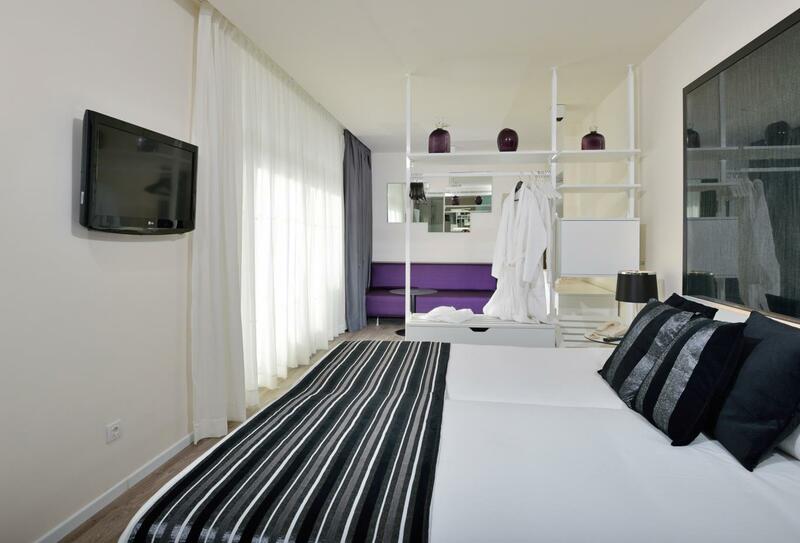 Found on either the first or second floor, the Vibe Room offer partial views of the Mediterranean. 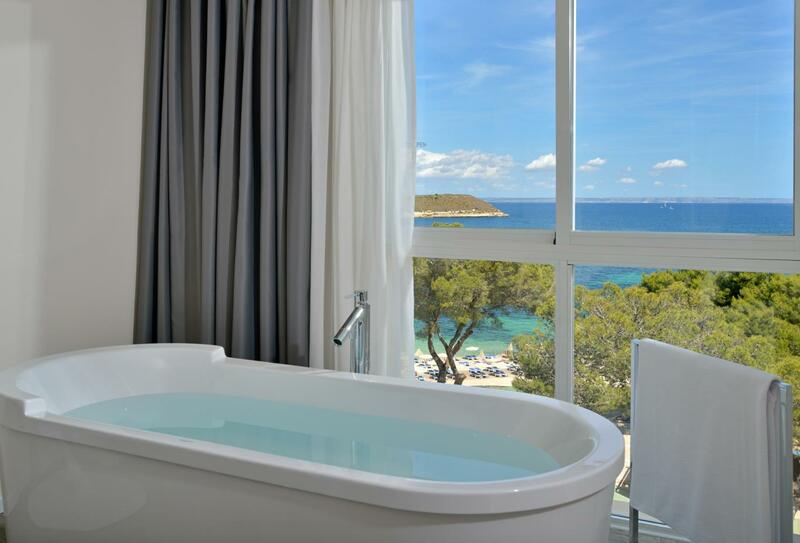 Up on the higher floors, the Mode Room has views over Calvia Beach and a bathroom with an oversized rain shower. 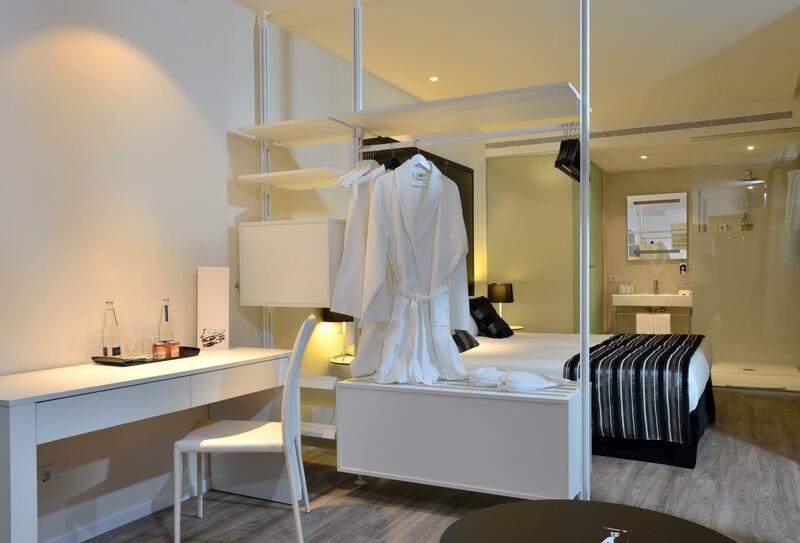 The Chic Suite has a bathroom with rain shower and a large bathtub overlooking the sea. The first supplement bar in the world to offer a highly-concentrated skin care experience, Skin Inc Spa offers personalised treatments, massages and serums from Japan. The pool bar and restaurant serves healthy dishes and a variety of bespoke cocktails. During the evening, a range of classic pizzas are served. The menu has consists of a wide choice and takes into consideration dietary requirements. 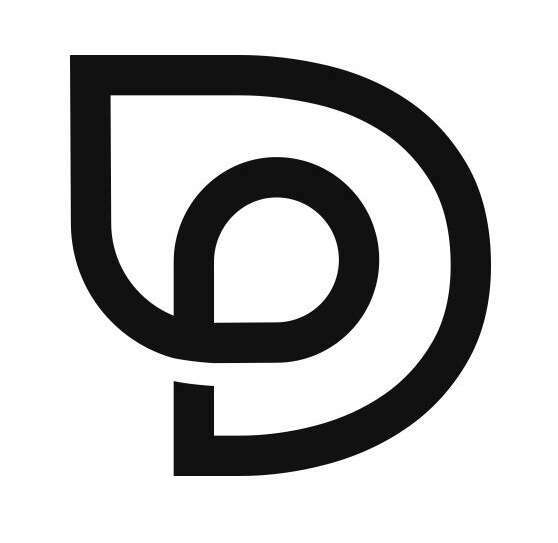 The restaurant serves Mediterranean cuisine, speciality rice dishes, cocktails, and a live DJ. Lunch - 13:00 to 16:00 and dinner 19:30 to 23:30 Thursday to Saturday and 19:30 to 23:00 Sunday to Wednesday. 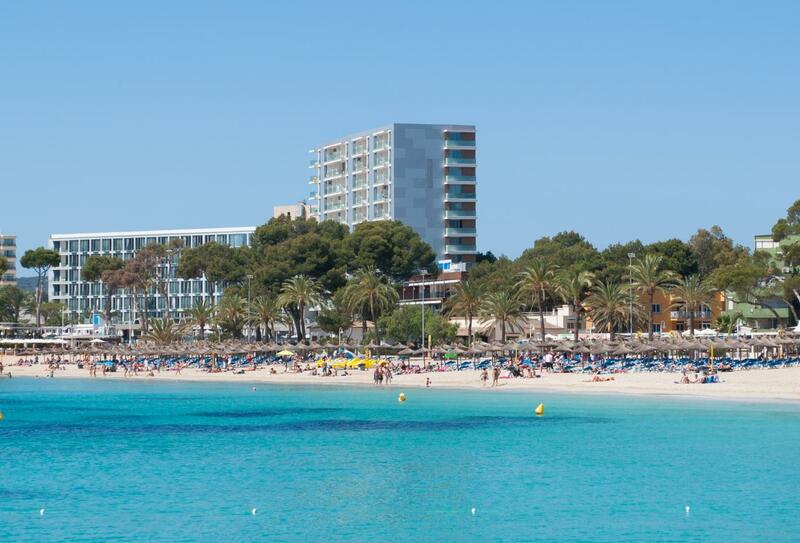 ME Mallorca is located in the town of Calvià which is about 25 minutes’ drive from Palma. The airport is also around 30 minutes’ drive.